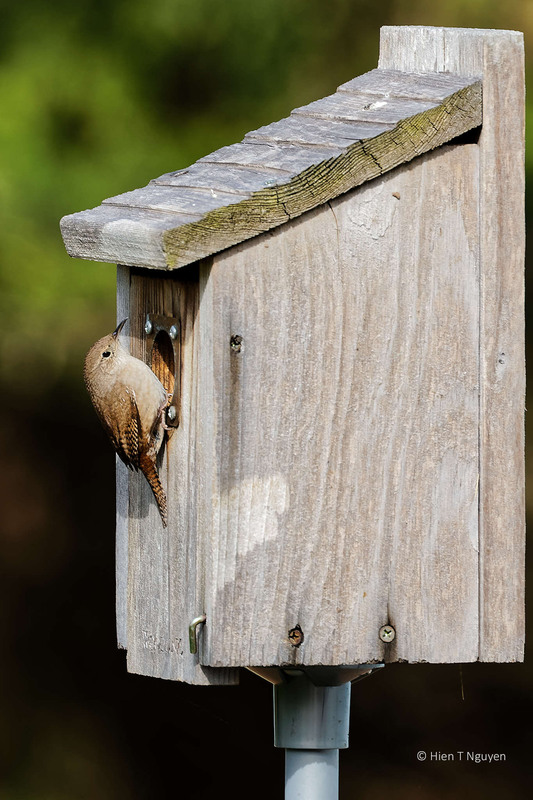 After building their nests, the House Wrens do not shy from singing their prowess to attract potential mates. 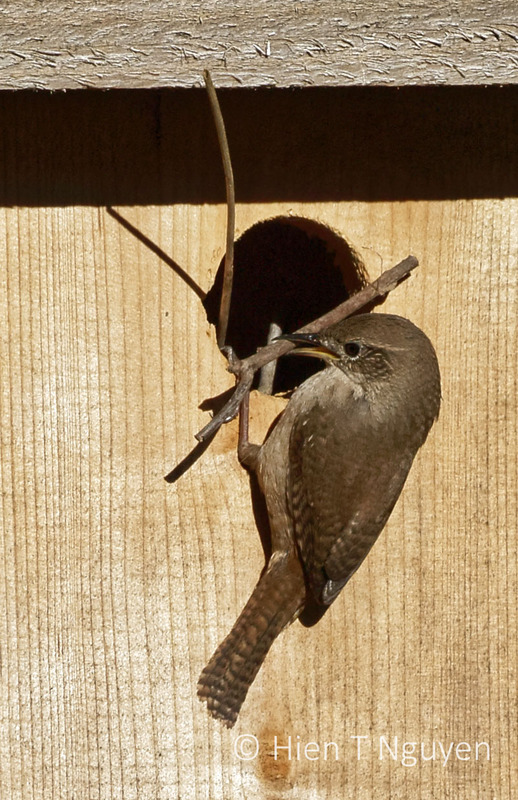 Here are some shots of the House Wren that was so busy the other day amassing twigs for its nest. 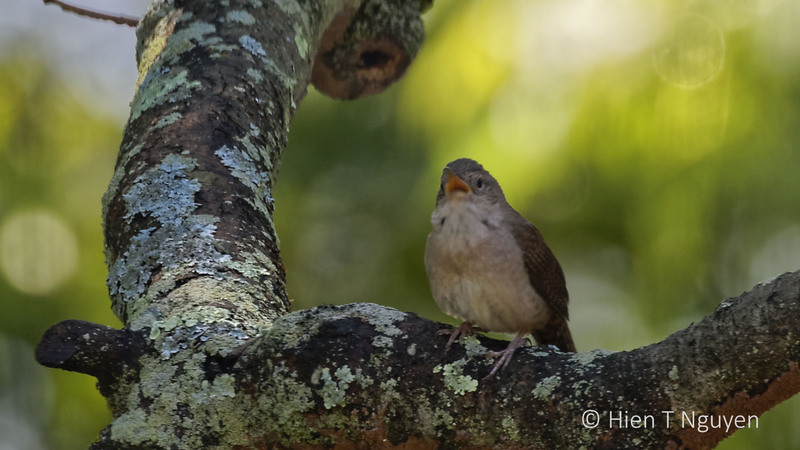 House Wren singing, eyes closed. 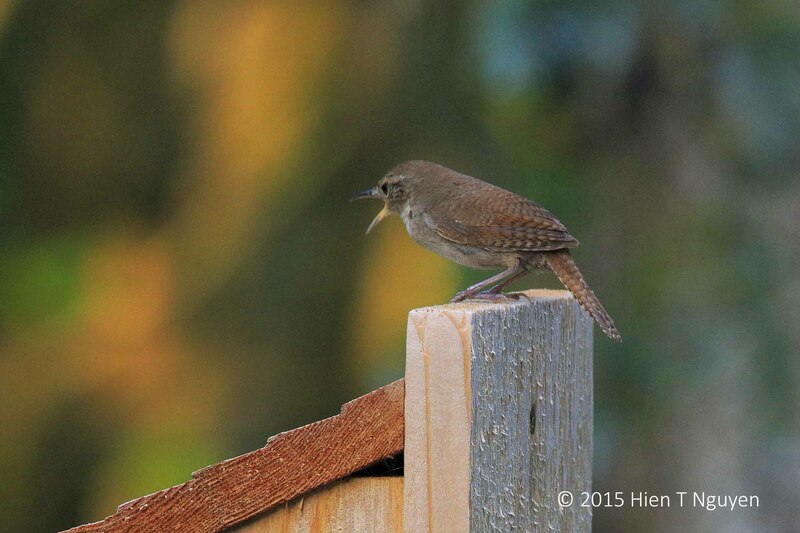 House Wren in between songs. 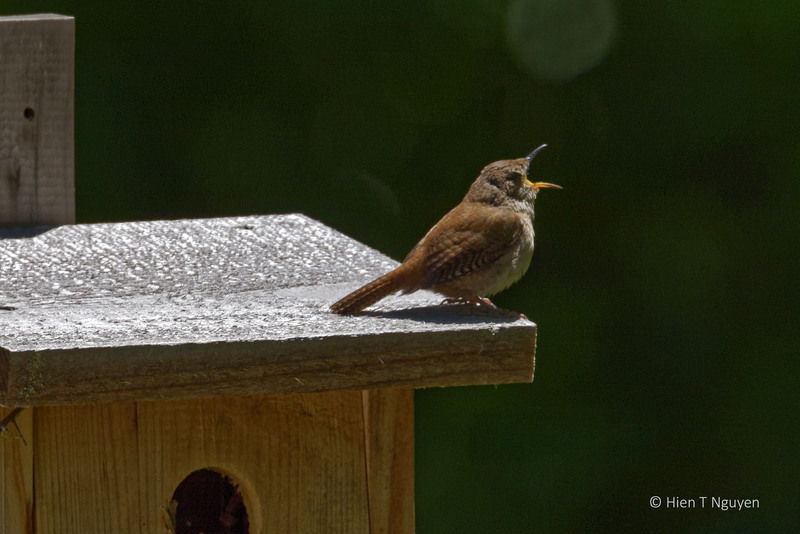 House Wren singing from the top of birdhouse. 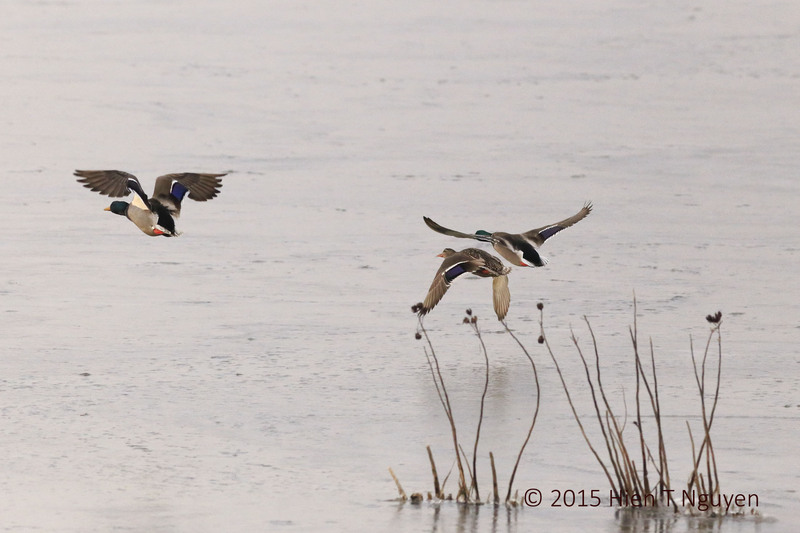 Note the feet beating time! 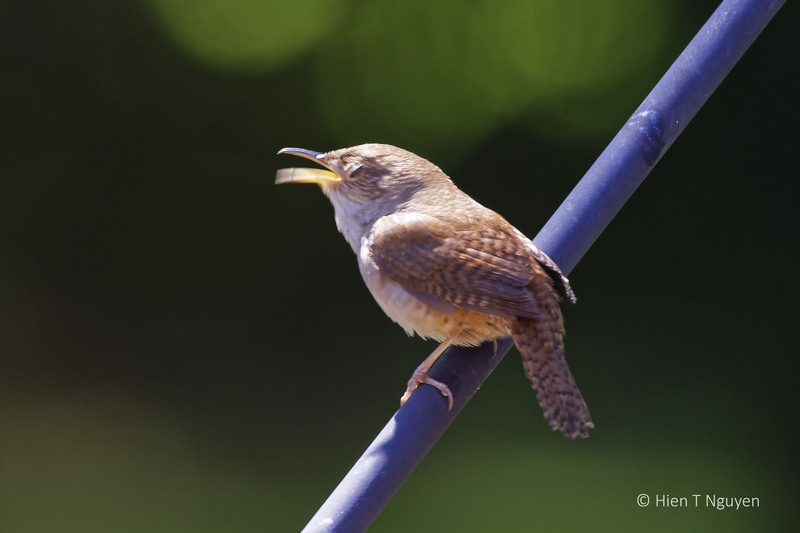 House Wren singing from rooftop. 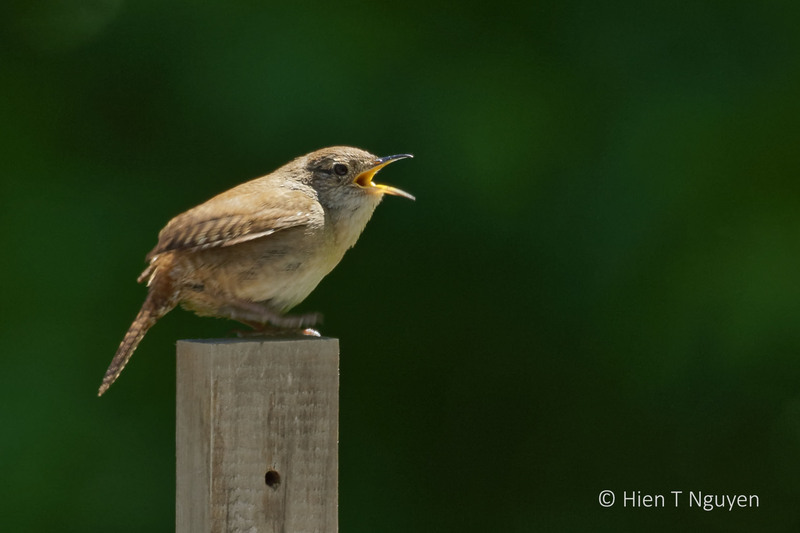 House Wren singing from oak branch. 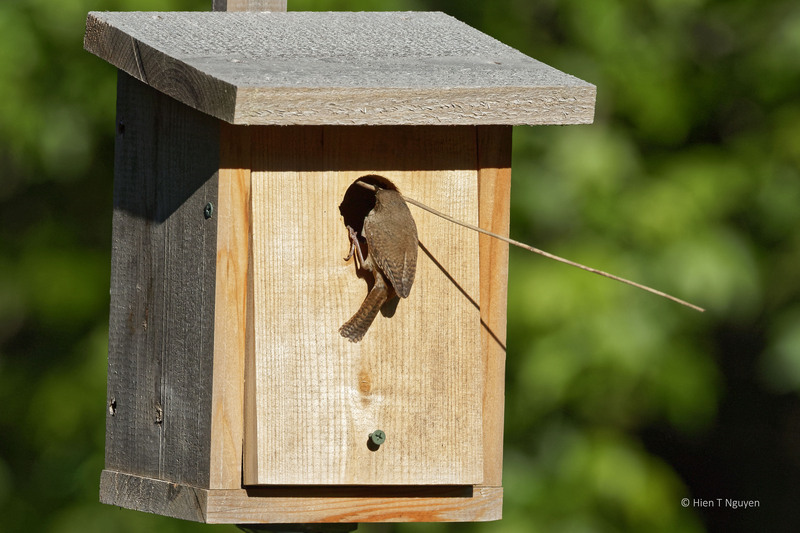 For several years, I’ve put up birdhouses in the hope of attracting Bluebirds. 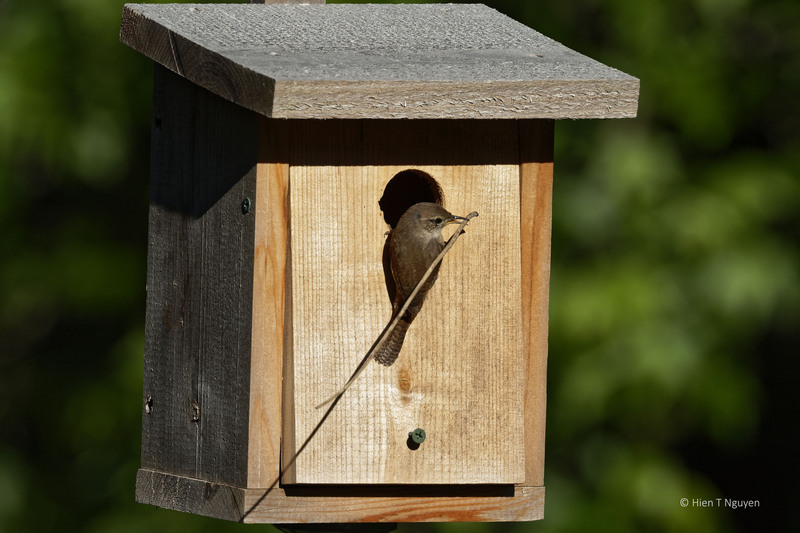 I must have placed them in the wrong places, because no Bluebird came, and only Chickadees and House Wrens have taken advantage of my birdhouses. 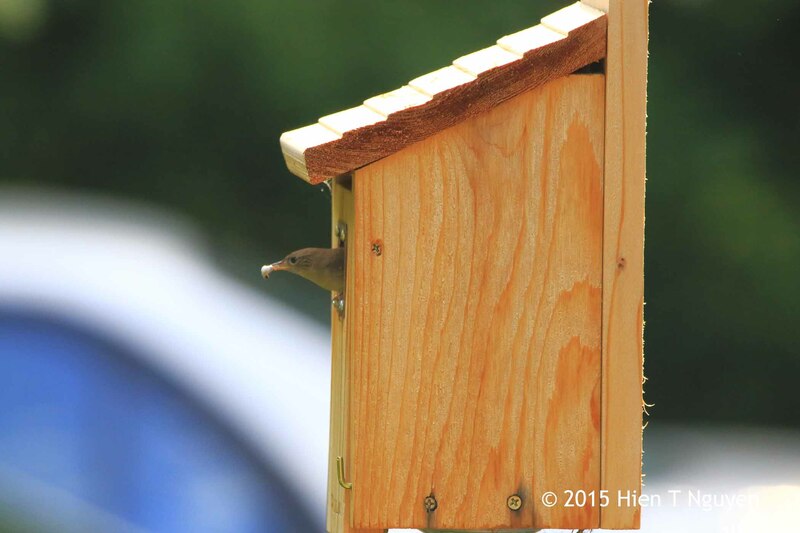 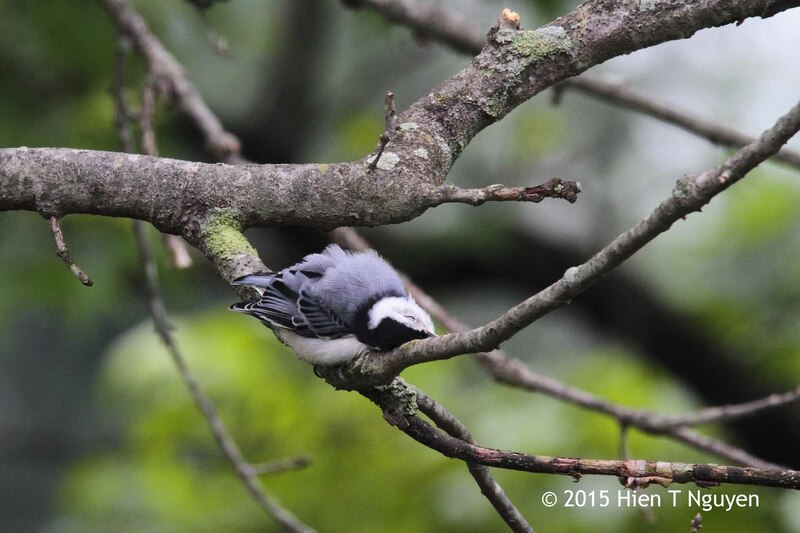 Yesterday, I saw an energetic House Wren busy building its nest inside one of the birdhouses. 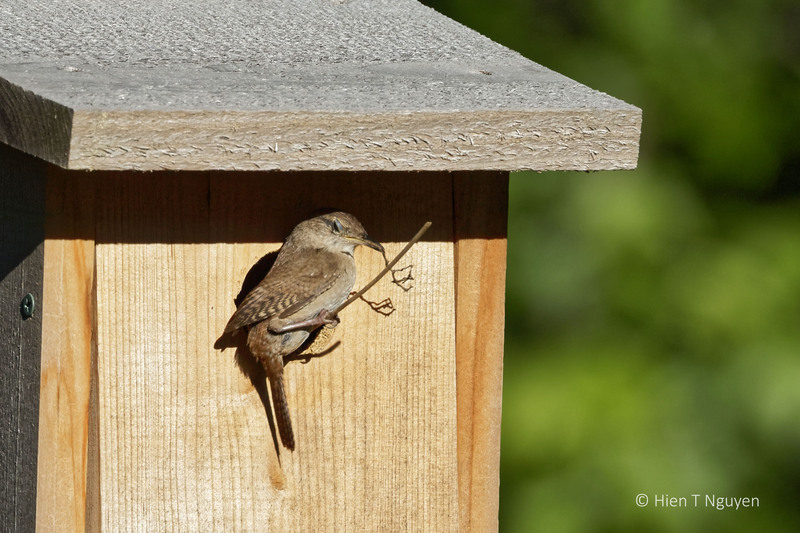 House Wren bringing twig to add to its nest inside birdhouse. 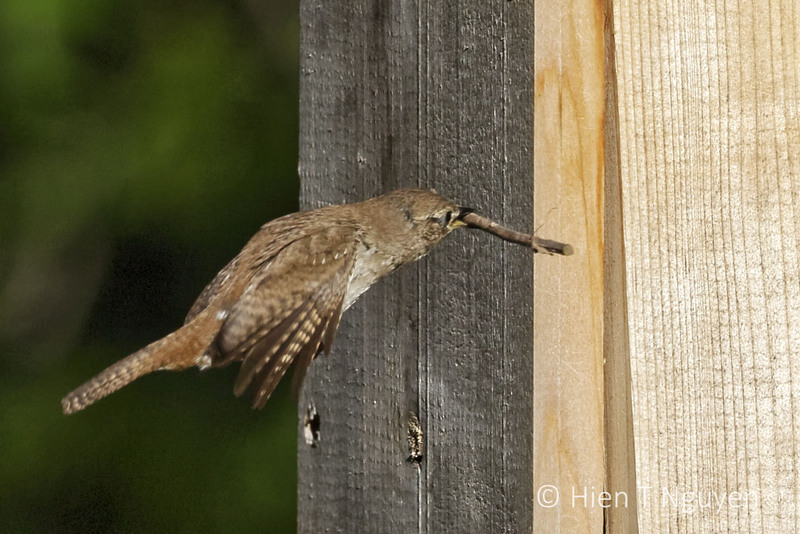 House Wren handling long twig. 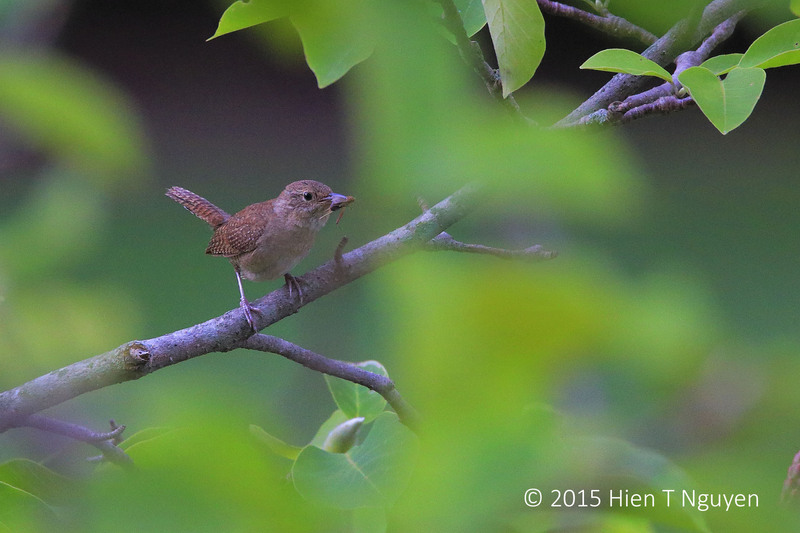 House Wren and long twig. 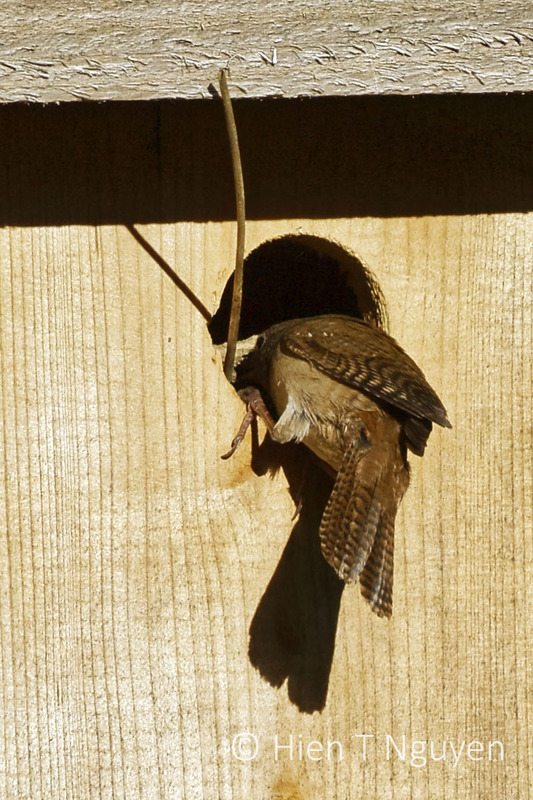 House Wren, eyes half closed, cramming another twig into nest. 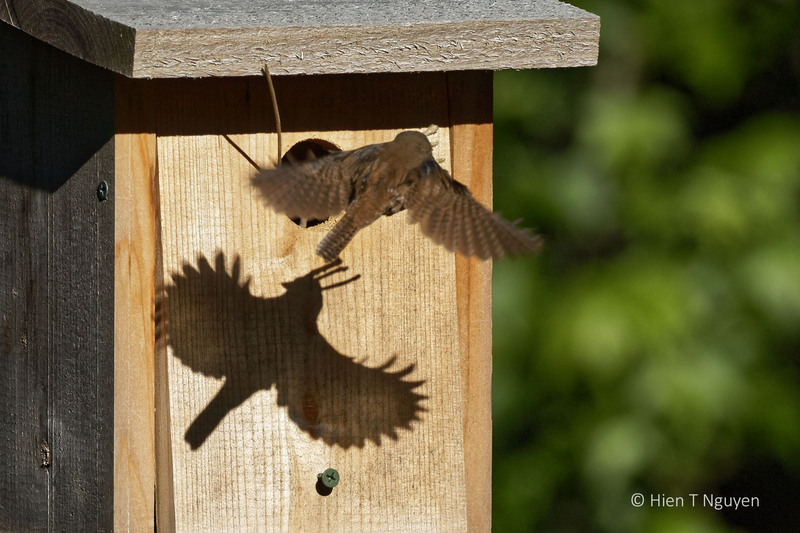 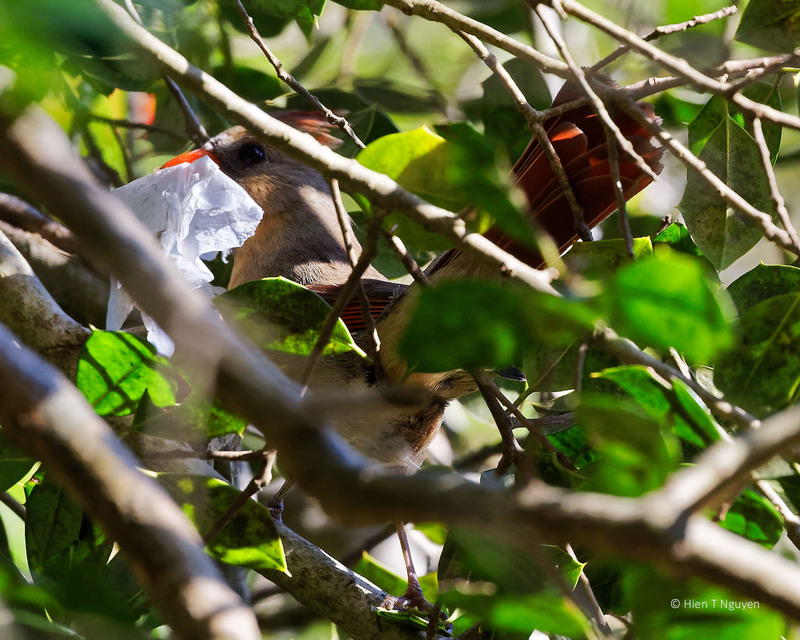 House Wren flying in nest material. 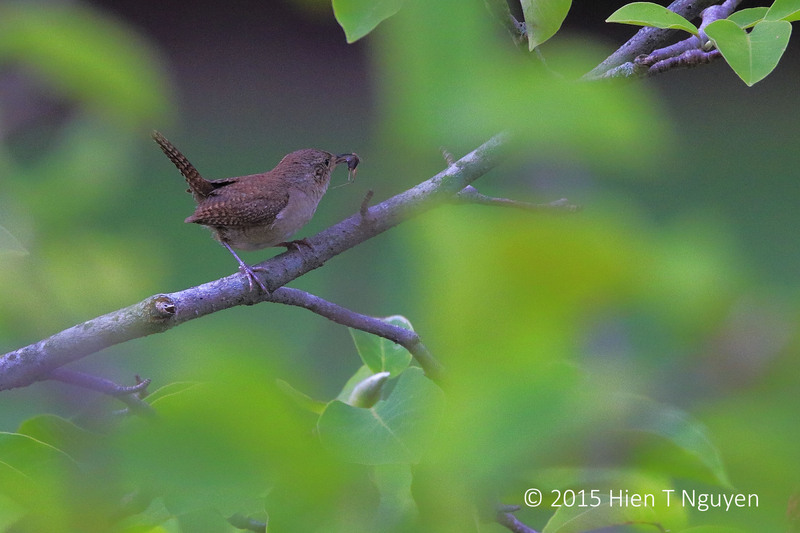 House Wren and another twig! 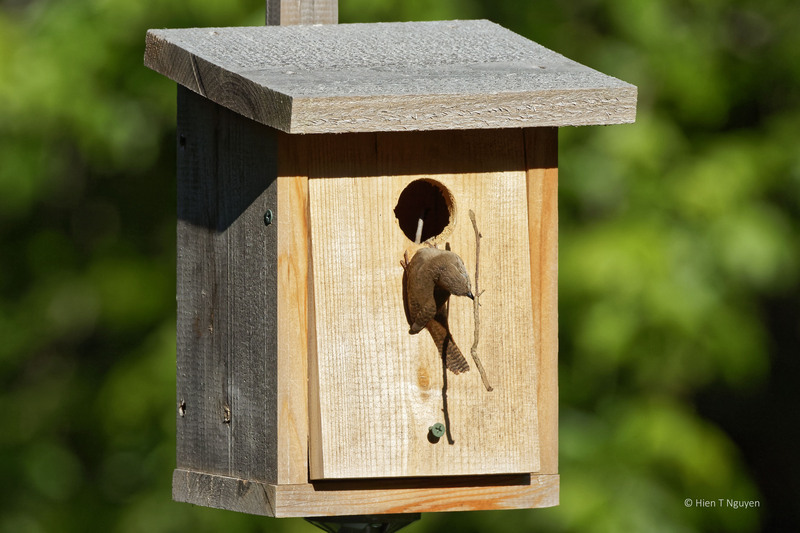 When will it stop bringing in more materials? 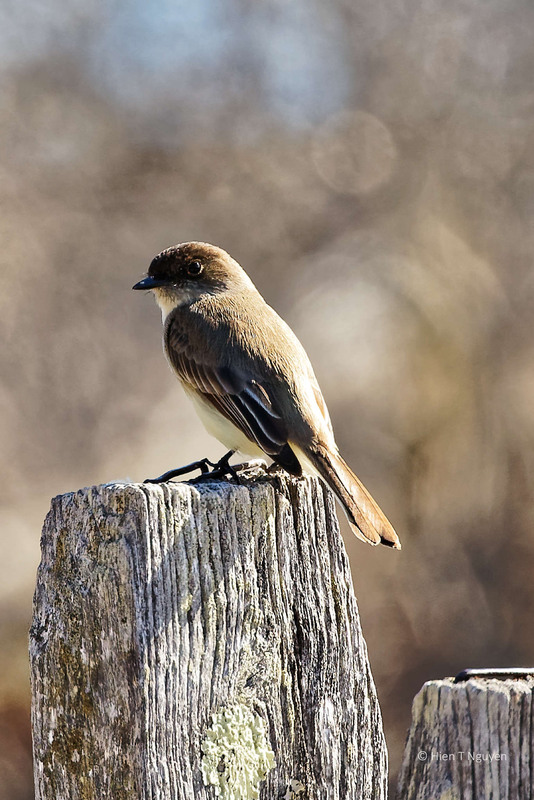 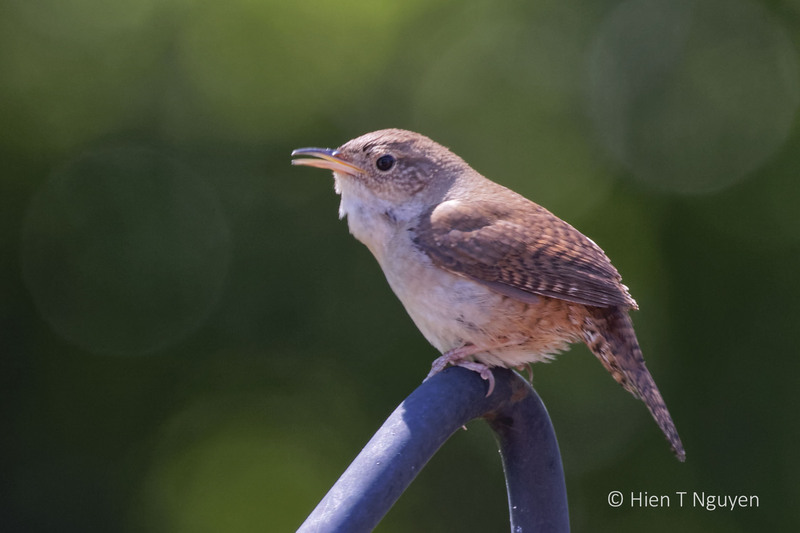 House Wrens are mostly plain brown, but they sing well and are one of the most common birds in North America and South America.